Available in 1, 2, 4 or 8 relay options. Only takes up 1 DMX address no matter how many relays. 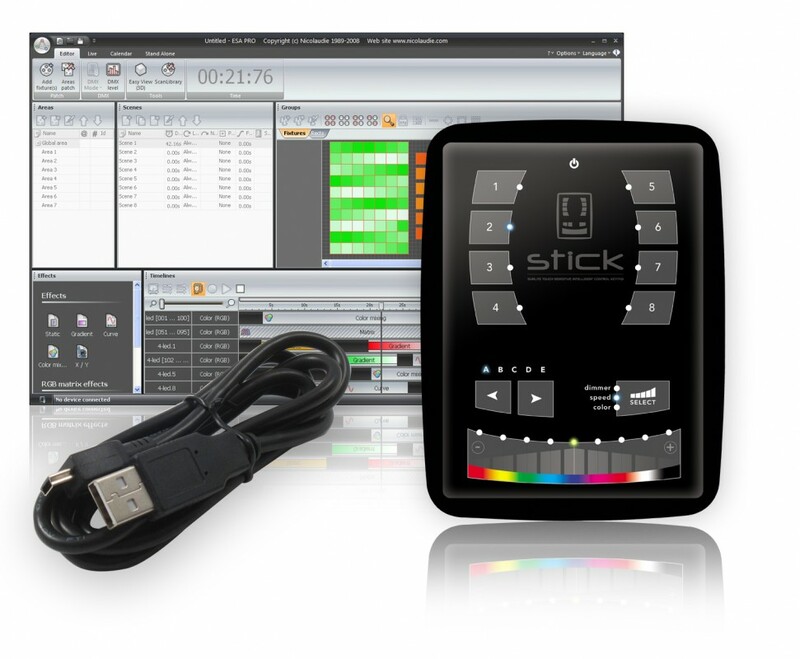 Has LED indicators for each relay to show when the relay is active (switched). Relays can switch upto 10A at 30Vdc or 250Vac. 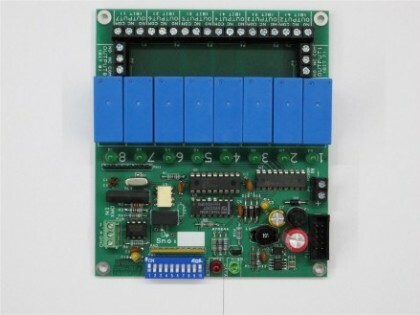 Categories: DMX Systems | DMX Relays. 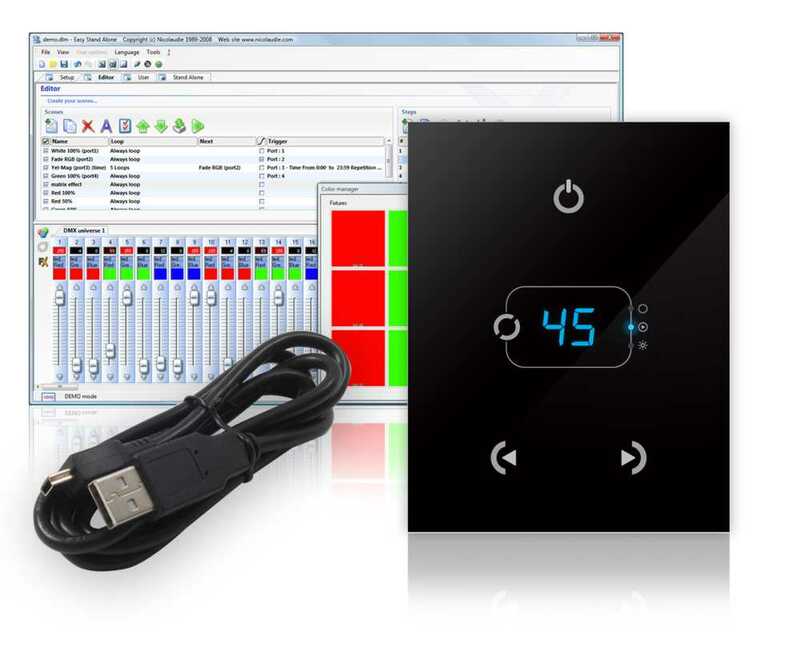 Wall plate controller, 1024 channels, elegant, Programmable, stand alone, complete software suite. 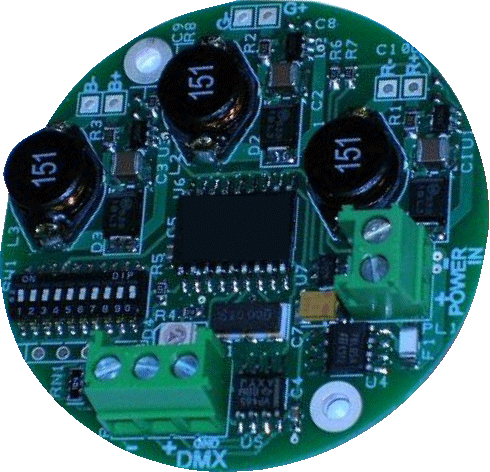 DMX Circle is a 3 channel, poweled RGB led dimmer card used with constant current led types.